Welcome to Spangalang Brewery in the heart of Historic Five Points, Denver! Here at Spangalang we focus on quality and freshness above all else. That’s one reason you won’t find our beer nearly anywhere other than our Denver Taproom. We want our customers to enjoy our craft beer the way we get to, the way it should be, fresh and properly handled. What’s a Spangalang anyway? Well, it’s an homage to the incredible neighborhood we find ourselves in, Five Points. For those of you who don’t know, Five Points was once one of the great jazz centers of our country. Spangalang is the bread and butter jazz cymbal rhythm. First popularized by the great Kenny Clarke beginning in the 1940s, you’d be hard pressed to find a drummer worth a lick today who couldn’t give you a little spang-a-lang. Spenser and Austin, just a couple of happy boys. 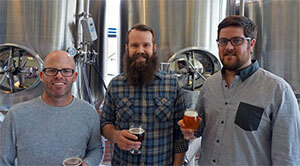 Founders Taylor Rees, Austin Wiley, and Darren Boyd met while working at Great Divide Brewing Company. 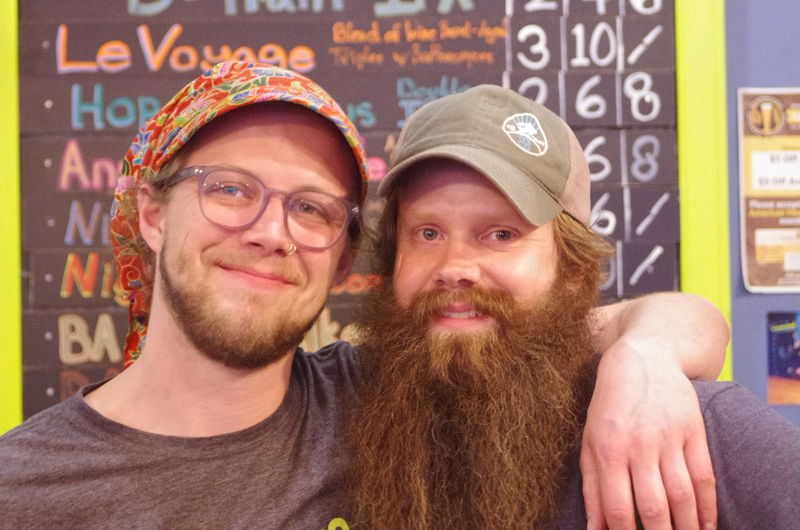 Now on their own, the trio of craft brewers has the freedom to explore more creative outlets for their craft beer, while staying true to their measured brewing roots. Taylor, Austin, and Darren, brew on a ten-barrel system here at Spangalang. Big enough to keep the beer flowing, but not so big that the beer will ever sit long enough for its quality to suffer. It’s our belief that everyone deserves locally produced, exceptional craft beer, and we’re here to bring it to Five Points in Denver. Come, join us at our Denver Brew Pub!